Kenny has spent the last 15 years in the home improvement industry. Working for several waterproofing companies he came across Quality 1st and wanted to make a true difference in helping homeowners with their waterproofing, crawlspace repair, and foundation repair issues. He has a great understanding of the importance of a dry basement having extensive training and experience in the industry. He also has many years of structural repair experience and has been thoroughly trained in identifying and resolving foundation issues. Kenny makes sure to bring a focused, intelligent approach to each job in which he is involved. Overall Kenny is a true professional and valued by our company and his customers. After thorough training, Kenny has excellent troubleshooting abilities and has consulted with hundreds of homeowners, designing effective solutions for every one of them. Kenny enjoys helping homeowners with their problems and training on new products and techniques offered by our firm. On his spare time he enjoys spending time with family and playing golf. 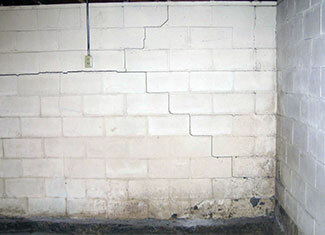 Quality 1st Basement Systems replaced a leaky basement window in Staten Island, New York and plugged up two leaky cracks. Quality 1st Basement Systems installed crawl space insulation in this Staten Island, NY home to keep it warmer during the winter months. Homeowner wanted to give their basement a more finished look by getting new floors and walls to brighten up the area. From time to time water has come through into the basement and so they wanted material that would be waterproof. Quality 1st Basement Systems installed Thermal Dry Flooring, which interlock together for easy installation and replacement if needed. The flooring has pegs underneath to prevent water from getting trapped underneath and keeps the floor warmer because it doesn't lay directly on the concrete floor. EverLast Wall Panels with built in insulation were installed as well to complete the look. The EverLast Wall Panels can not be damaged by moisture and will never get mold. Quality 1st Basement Systems was able to provide this homeowner with the exact look they wanted for their basement by installing waterproof products that brighten and protect their basement. A homeowner in Brooklyn, New York had sagging floors above their crawl space that needed support and contacted Quality 1st for a solution. Our System Design Specialist inspected the crawl space and noticed that the crawl space was being supported by a stack of bricks and cinder blocks. The bricks were replaced by SmartJacks to provide support for the sagging floors above. SmartJacks are a permanent solution that can be adjusted at any point if the home needs it.